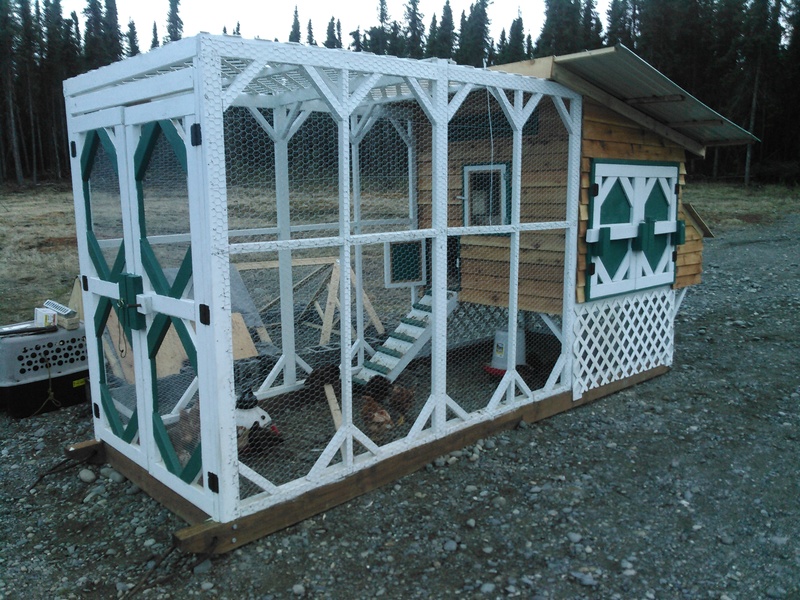 Justin lives about 10 miles north of Willow, and recently completed construction on a brand new chicken palace for his egg laying flock, plus a chicken tractor for his meat birds. Justin and his family decided to get chickens for a handful of reasons, but having a good source of fresh eggs and meat was at the top of the list. When it comes to food in Alaska, almost everything has to be barged into the state, so if you rely purely on the grocery stores, you get what you get and sometimes stores run out. He wanted to create his own system of reliable eggs and meat for his family, which is understandably becoming a bigger and bigger focus for Alaskans. Even though he’s on 10 acres of his own property, stray dogs have been an issue from time to time. He has two of his own dogs, but he really only needs to keep an eye out for unleashed wandering neighbor dogs. While the coop brainstorm and design was mainly his project, the actual building process has been a full-on family event that’s been keeping him, his wife and his kids very busy! With six people in his family, he wanted to make sure they could comfortably fit enough chickens to provide fresh eggs to feed everyone. 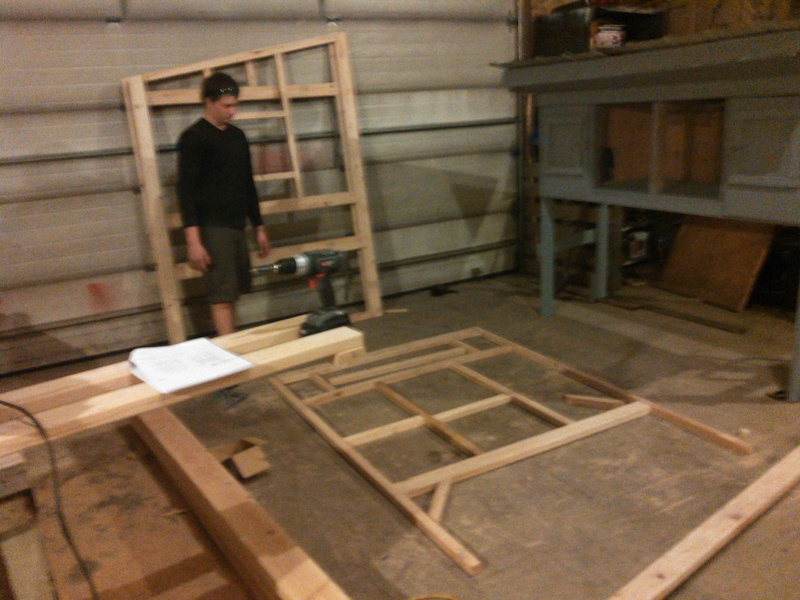 The coop is 6’x6′ and the run is 6’x16′. Each step of the way, he was careful with his measurements and how many birds he wanted to accommodate, allowing about 2 square feet per bird in the coop, 8 square feet per bird in the run area, and 1 square foot per bird on the roosts at night. 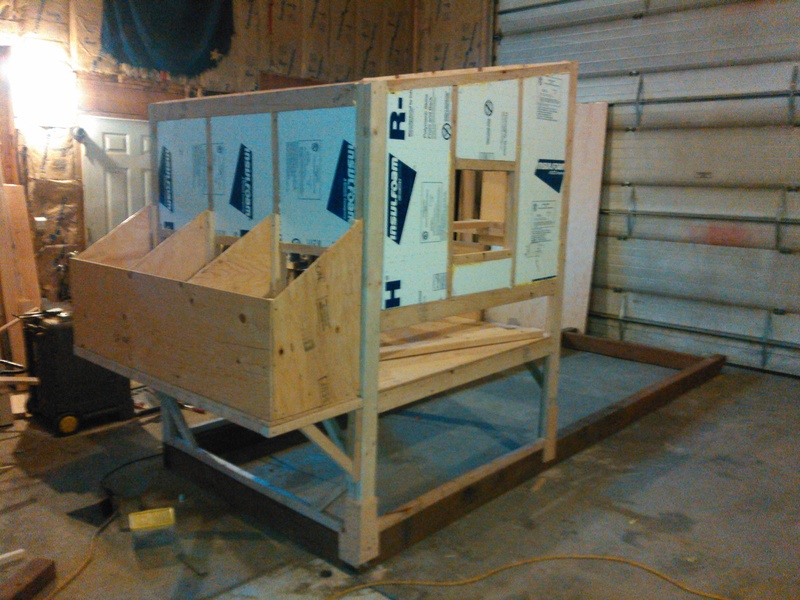 Here’s a photo of the inside of the completed coop. 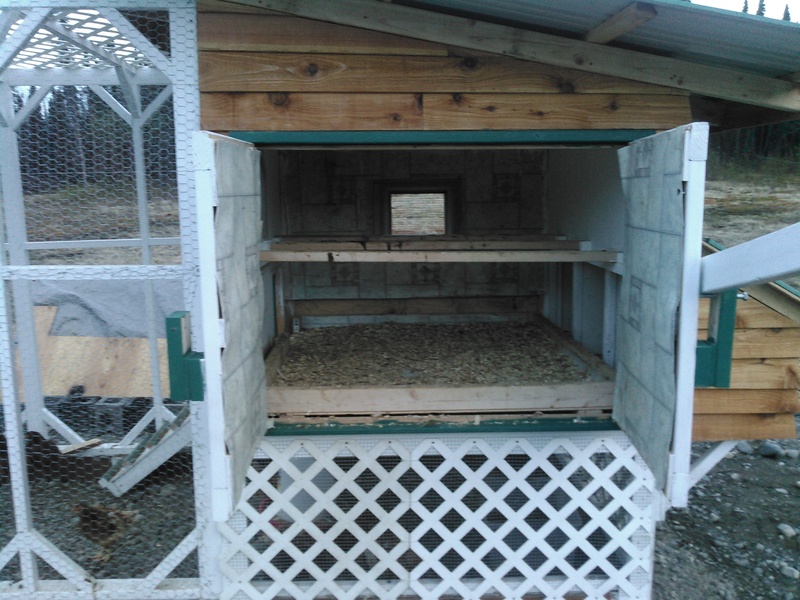 The chicken ramp to enter/exit the coop is on the bottom left of the photo; the roosting bars are in the center; the nesting boxes are on the bottom right. 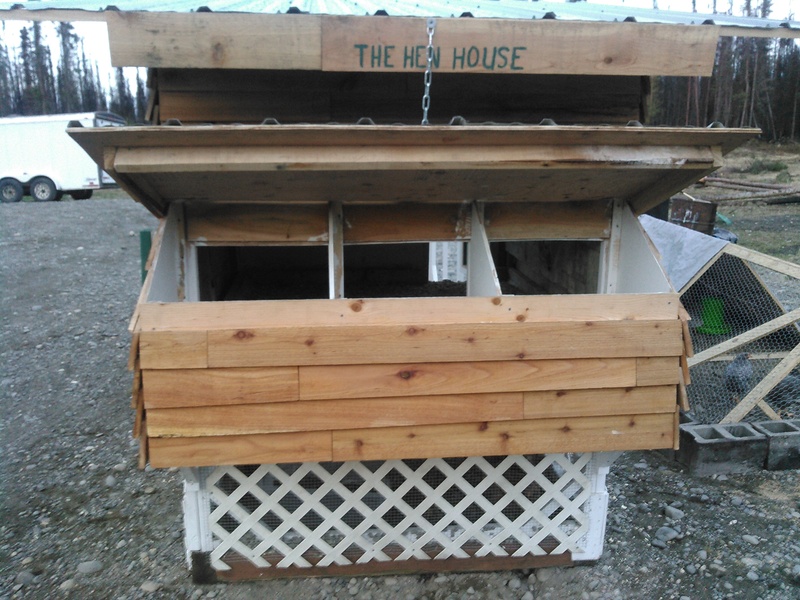 The nesting boxes are covered by a long, rectangular flap that can be lifted up by a chain and hooked to the roof of the coop for easier egg collecting. If he finds that it feels too crowded once his hens are full-grown, he’ll continue to build on the existing coop structure and expand it out to make more space. 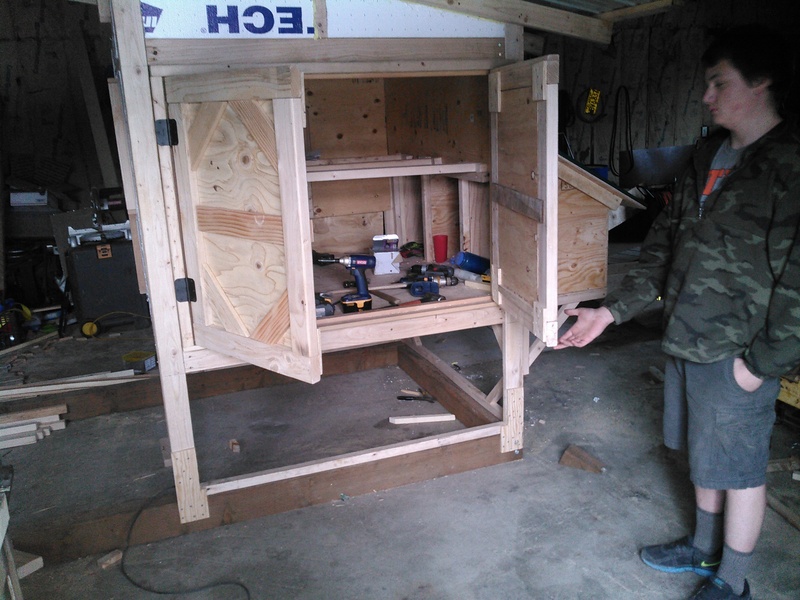 Justin designed his giant coop to have heat and light, plus it’s insulated. 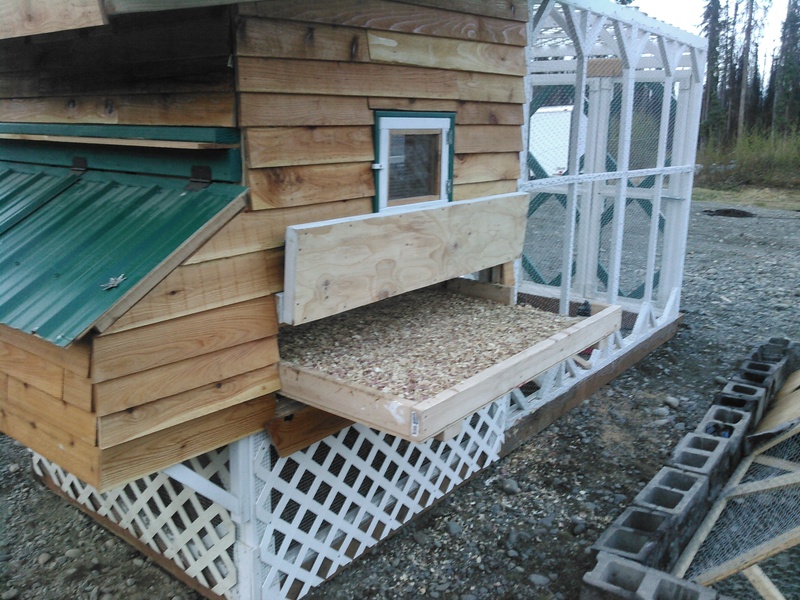 He also paid special attention to ventilation, and added a pull-out tray at the bottom of the coop for easy cleaning. He had chickens when he was a kid, but this has been his first experience raising and taking care of poultry as an adult. And this is the first time his children are getting the opportunity to be hands-on with raising and taking care of their own food. So far, it has been a great learning experience for his kids and everyone is enjoying helping to feed and water the new flock. 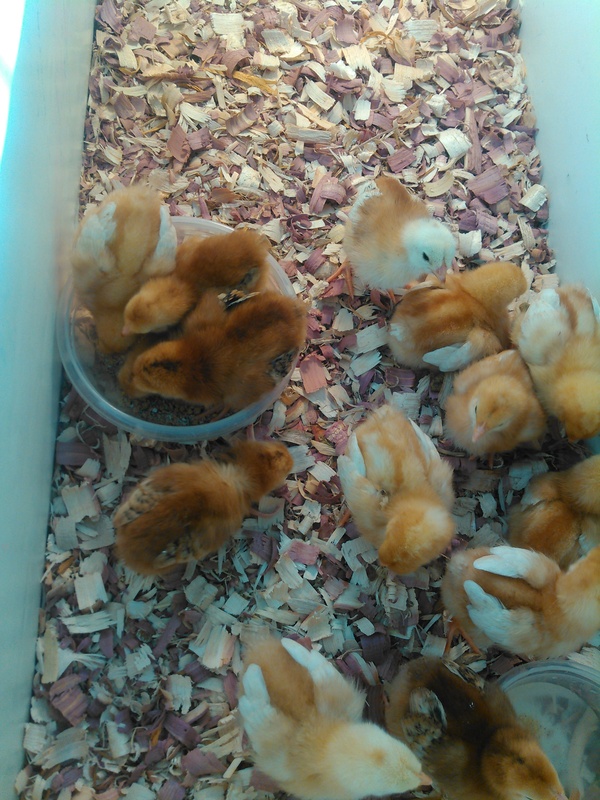 And soon they’ll be enjoying the added reward of fresh eggs and fresh, homegrown meat. Justin doesn’t believe bears will be a problem where he is, but Amanda in urban Anchorage built her coop with a 10,000 volt electric fence. 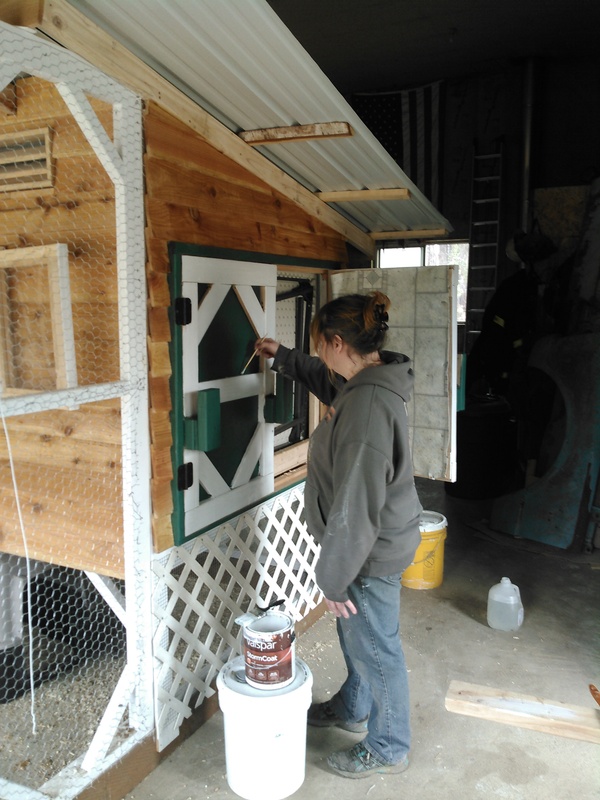 Click here to see Amanda’s bear-proof chicken coop design. 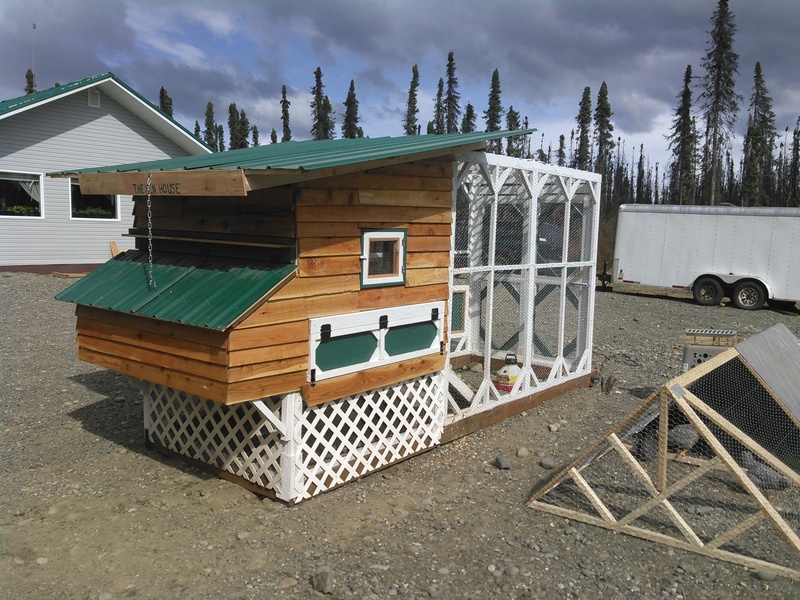 If you’re interested in having your chicken coop featured on AlaskaUrbanHippie.com, click here to contact me.